With the recent cold snap, I am amazed that anything can survive outside. 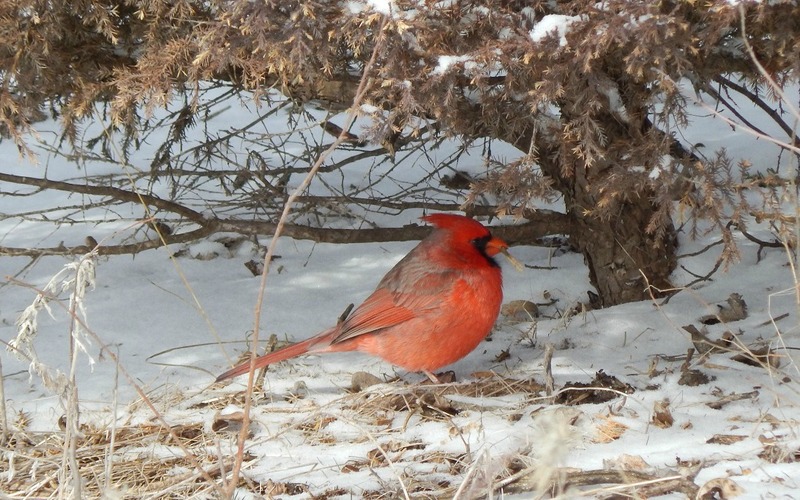 Snow and extreme temperatures make it a challenge for birds to get through the freezing nights. Birds have to change their diets from insects to berries, fruit and seeds rich in fats and antioxidants to make it through winter. They spend most of their time and energy trying to find food, water and shelter. Fruits and berries can truly be a lifesaver for overwintering birds. 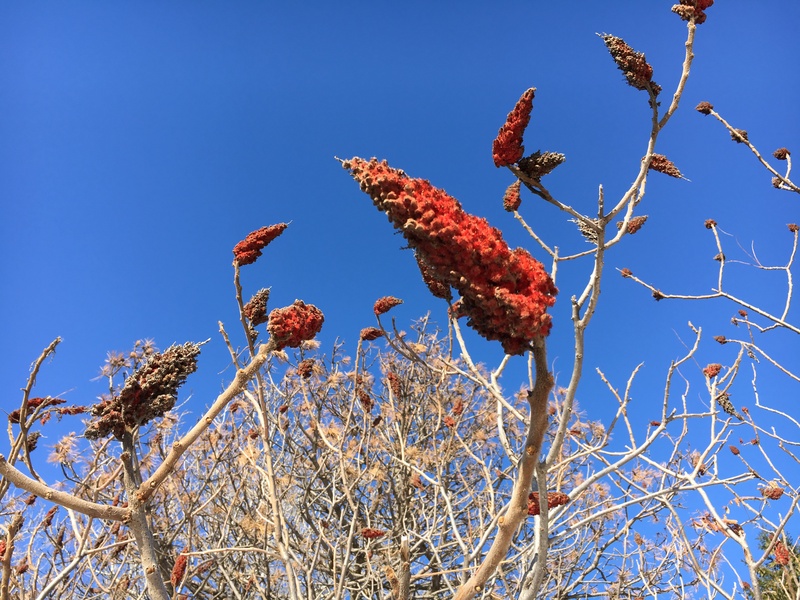 Here are a few trees and shrubs that will feed the birds during these long, cold months of the year. This diverse collection of shrubs or small trees offers many great landscape plants. 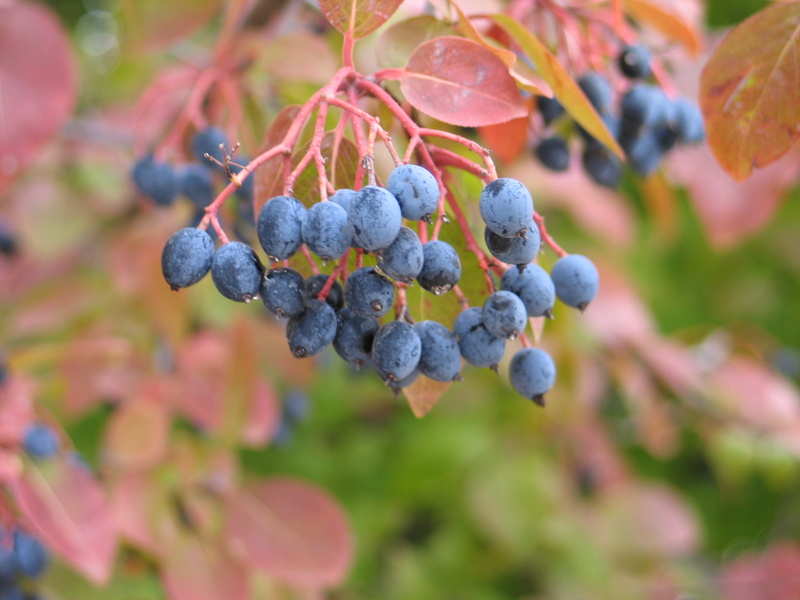 Most have attractive foliage with amazing fall color, clusters of blooms that develop into groups of tasty fruit for overwintering birds to devour. Some of the best varieties for our area have been Blackhaw Viburnum (Viburnum prunifolium) and Rusty Blackhaw Viburnum (Viburnum rufidulum). These two species are native to Kansas and produce abundant fruit that birds love. Other garden worthy forms are Arrowwood Viburnum (Viburnum dentatum ‘Blue Muffin’) and Leatherleaf Viburnum (Viburnum rhytidophyllum ‘Allegheny’). This large shrub often goes unnoticed for much of the year until late fall when the bright red berries form along the branches. Its shiny green leaves and light gray stems make it a desirable shrub for natural areas in your landscape. Since only female plants bear fruit, you must have at least one male plant in close proximity for best berry production. Usually after the first snow, birds will begin to eat the berries because the cold temperatures make them more palatable to wildlife. We have several forms of Possumhaw, such as ‘Council Fire’, ‘Red Cascade’, ‘Sentry’, and ‘Warren’s Red’. Over time, it tends to produce suckers from the roots, forming a multi-trunk screen. These trees are highly ornamental. The attractive spring blooms, interesting foliage, and bountiful fruit make them an ideal choice for nearly any landscape. They are quite adaptable and drought tolerant. 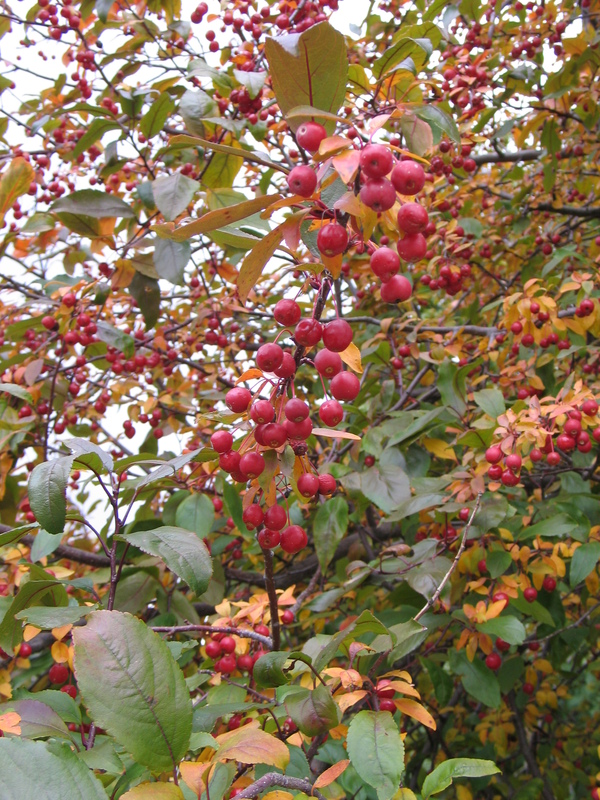 Varieties with small fruit that hang on through the winter attract the most overwintering birds. Choose forms that are highly disease resistant to cedar apple rust, mildew, scab and fire blight. Some of the best are ‘Prairifire’, ‘Firebird’, ‘Royal Raindrops’, ‘Sargent’, ‘Callaway’, ‘Cardinal’, ‘Centurion’, ‘Pink Princess’, and ‘Robinson’. These fast-growing shrubs have ferny leaves and incredible fall color. The blood red foliage in autumn is striking. Typically, these shrubs spread by underground runners forming dense thickets, so find a spot where they can expand. 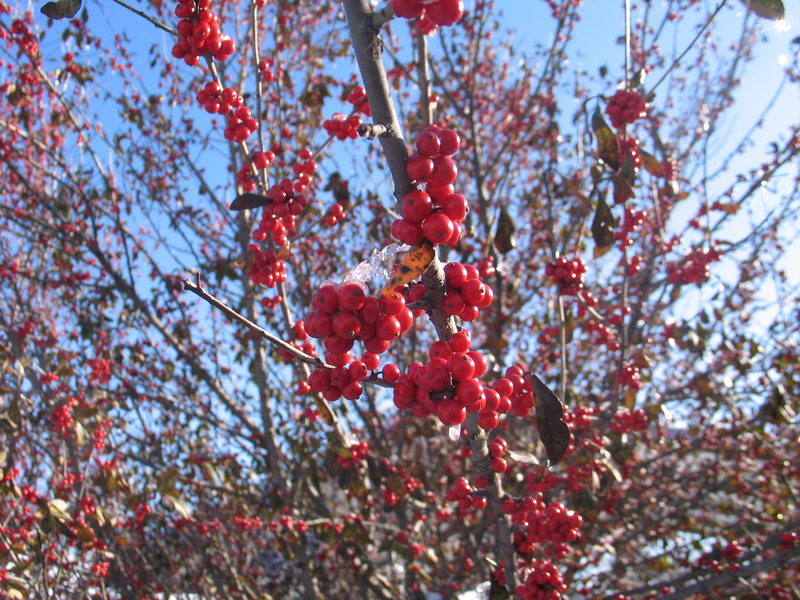 The red fruit clusters at the ends of the stems are harvested by a variety of birds during the winter. This tree is the only native evergreen to Kansas. 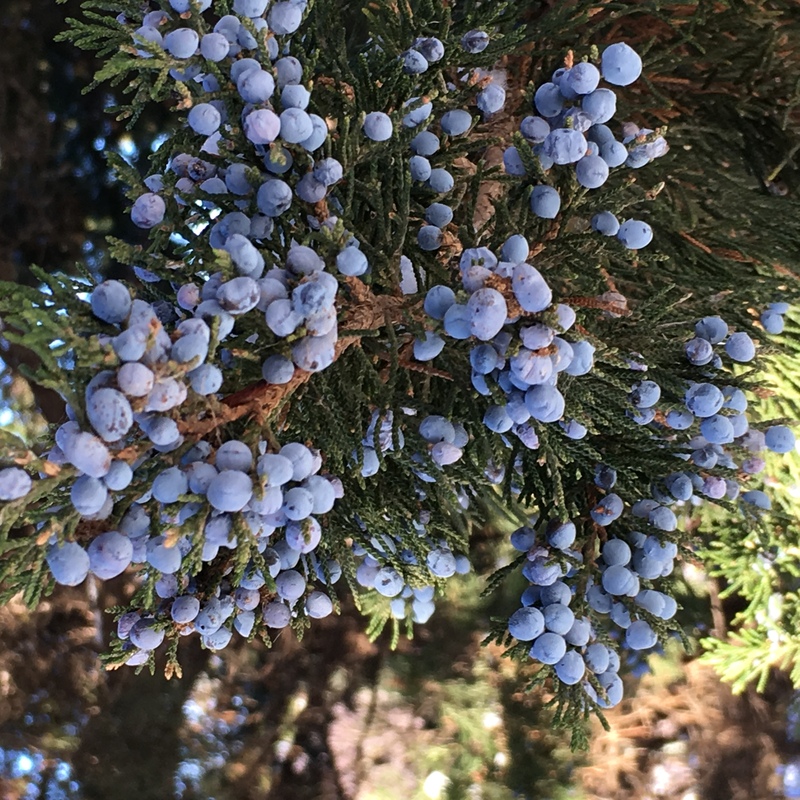 Junipers are extremely important to birds during the winter. Not only do they offer protection from the cold, but the female forms produce large quantities of berries often eaten by birds after other food sources have been exhausted. Two varieties we use in our landscapes are ‘Taylor’, a narrow form (4’ wide X 25’ tall) and ‘Canaertii’, a picturesque form (15’ wide x 35’ tall) with dense branches that look like arms. Many wildflowers and grasses make great natural bird feeders. 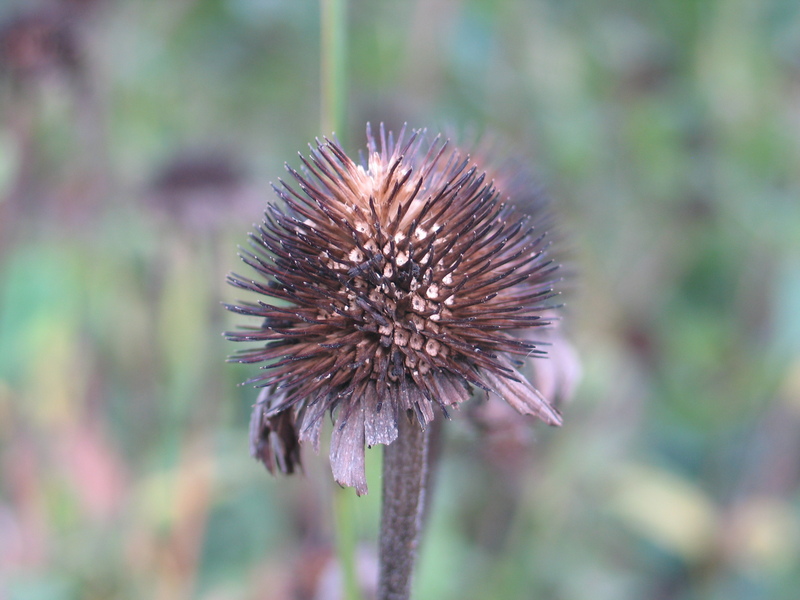 Coneflowers, grass seed heads, black-eyed susans, sunflowers, aster and goldenrods will be used by birds for food. The key is to not get too anxious to cut these plants down in the fall. Leave them through the winter for birds to enjoy. Cut them down next February or March in preparation for spring. Creating a landscape that is bird friendly takes planning. Choose plants not only for their beauty, but also wildlife value. Your yard can become a hub of bird activity as they fuel up to endure the winter. A few well-chosen berry plants for birds will increase your enjoyment through the winter and throughout the year. Happy Birding! 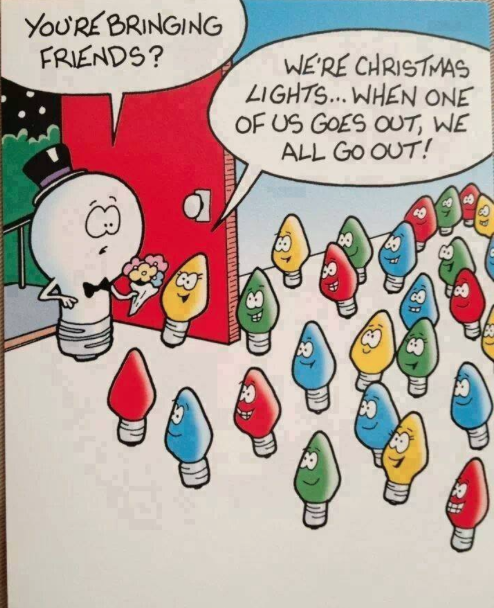 Christmas lights make this time of year festive and bright… but oh so frustrating! Here at the Arboretum we put up thousands of lights every year in preparation for our annual Luminary Walk. We put them on the buildings, string them in the grass and hang them in trees. We know a thing or two about the misery those little twinkle lights can bring. Impossible to fix and eternally tangled, and how do you store them for next year so they don’t drive you crazy all over again? Fear not, Christmas merrymakers! Here are a few tips to keep you from turning into a Christmas light scrooge. 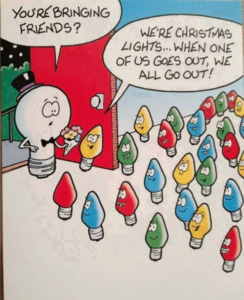 When light strands go on the fritz, there is no sense in wiggling every single bulb to see which is the troublemaker. That is the way of the past! If you, like me, have A LOT of lights to fiddle with, the best way to handle it is with a LightKeeper tool. This is what we use here to diagnose our strands of lights. It has a fuse/bulb/socket tester and current detector. Usually sold for about $20, it can save you a lot of time and trouble, preventing you from throwing lights in the garbage out of exasperation. This is most useful for incandescent types and only ‘kinda-sorta’ works on LEDs. Note: In general LED lights seem to have less problems than the older style incandescent and the bulbs break much less often because they are plastic instead of glass. If you buying new, buy LED – less fixing and less energy usage. First look for obvious broken bulbs somewhere within in the section that isn’t working. Broken bulbs can disrupt the current. Use LightKeeper tool to detect where the current stops — locate the problem area and test a few of those bulbs and sockets to find which one is burnt out/stopping current. Step 3 is where you will spend most of your time, but what a feeling when it all finally lights up – you become Master of the Lights! Me and my LightKeeper tool. 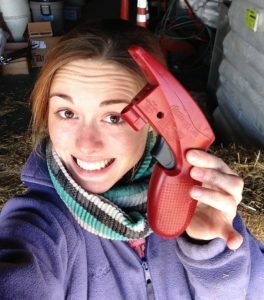 If you want to be this happy, find a light fixing tool that works for you! Perhaps they will hire me for an infomercial…. 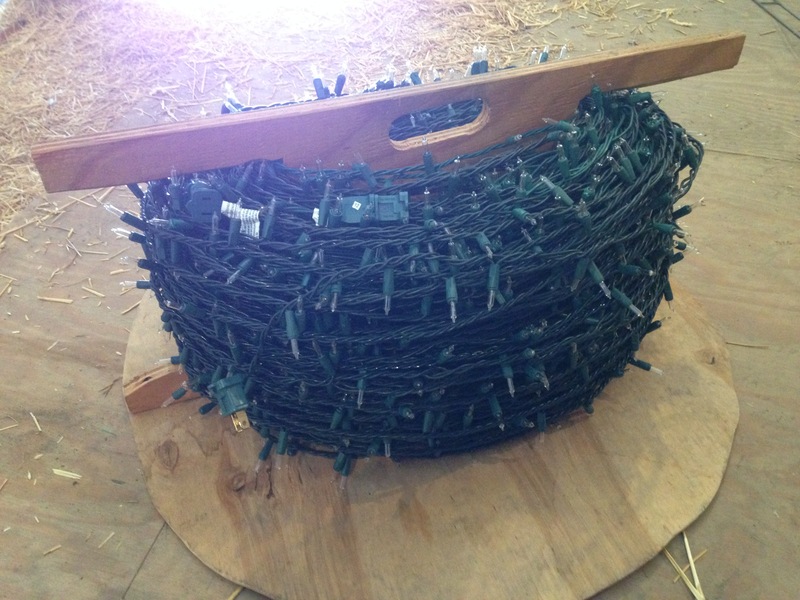 If you store your Christmas lights in an attic, garage, or shed, you may have rodent problems. These green and white wires are irresistible to little nibbling creatures – mice, rats, squirrels and bunnies. Even after you put them outside on your roof and shrubs you are still vulnerable to those maniacal munchers. You can change every bulb in that strand of lights but if a mouse or rabbit has chewed through one of the wires, no go! Before giving up on a particularly stubborn set of lights, run the entire length of it through your hands (unplugged) and check for any exposed wires that might be causing the issue. It can be easily fixed by stripping the plastic off the wire and twisting them back together with a wire nut from the local hardware store. These are the wooden spools we use to keep our lights detangled and damage-free while in storage. If your lights quit working in the wet weather, don’t force it. Many of our older sets of lights act up in sleet and slush, probably due to loose bulbs allowing minuscule amounts of moisture into the connections. It can also be caused by a weak spot in the extension cords exposed to wet conditions and tripping your safety functions at the outlet. The best option here is to let the lights and cords dry out and get back to fixing them when you actually have a chance! All the work you did this year will be for not if you don’t store your lights properly! Organization is the name of the game. Broken bulbs will result from over stacking or crunching. Tangles will re-form if you just throw them in boxes or roll them up without securing the loop. 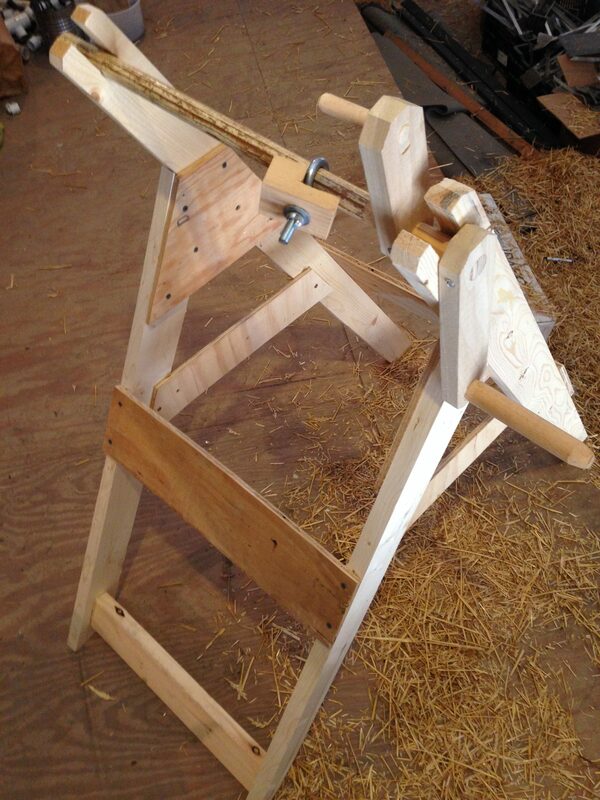 We have created a stand and roller system for neatly and carefully rolling up the our strings of lights. For fewer lights you may consider wrapping them around a piece of cardboard/wood or around cylinders (coffee cans? giant spools?) for storage. We keep all our lights coiled and shelved for the off season, many sets labeled for their specific area so there is no guessing about what fits where next year. One of our volunteers constructed a standing crank for us to spool the Christmas lights onto. Very handy and easy on my back! I hope you all spend less time fixing your decorations and more time enjoying them. Merry Christmas friends, may it be bright! 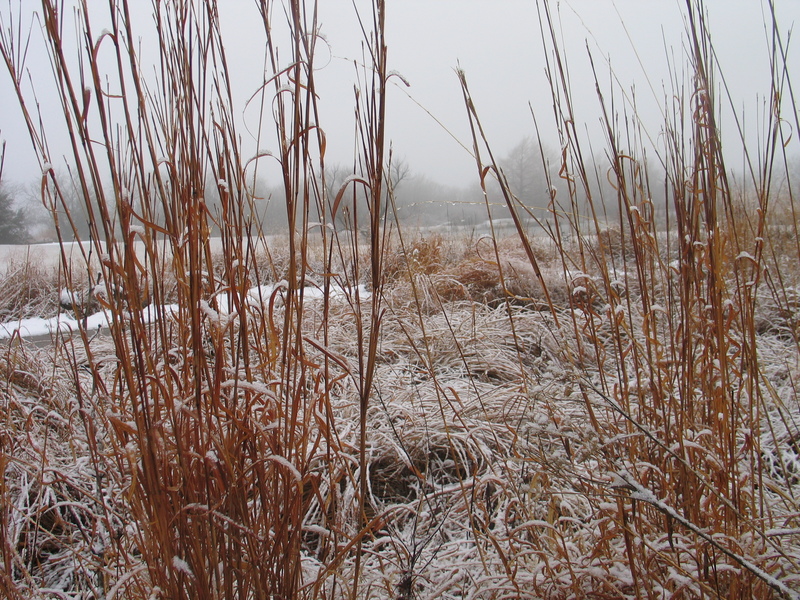 Why Do Plants Go Dormant in the Winter? Winter is coming. 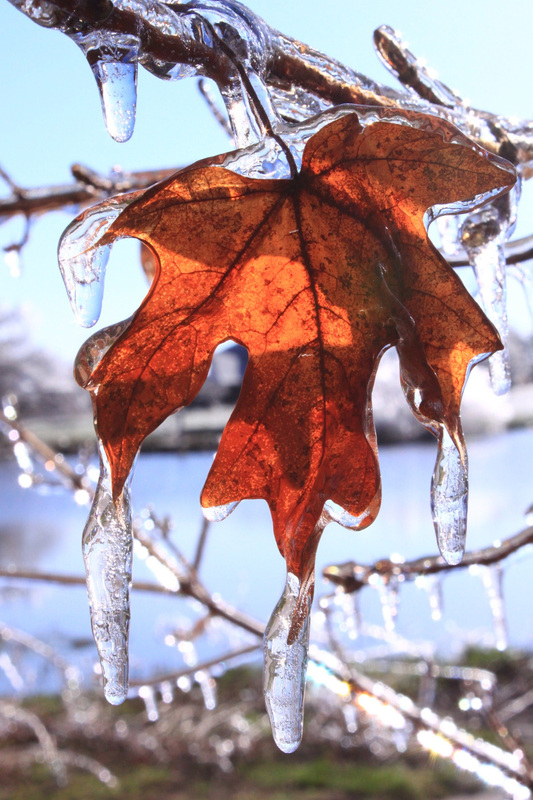 Trees, shrubs and other plants are slipping into hibernation, allowing them to survive the cold weather. They have gone dormant as they wait to be renewed in the spring. As cold temperatures set in, I have been wondering why plants go dormant. Why is this period of waiting for spring so important for plant survival? What is the process of dormancy? During the active months of growth (April-August), each plant is using the photosynthetic process to change carbon dioxide, water, and certain inorganic salts into carbohydrates. These are used by the plant or stored for use during the winter. At the end of the season, plants begin to move these sugars and carbohydrates from the leaves down in the roots to nourish the plant for the winter months. Plants are no longer growing. In trees, the green chlorophyll is removed from the leaves often leaving beautiful pigments of red, orange and yellow that give them brilliant fall color. 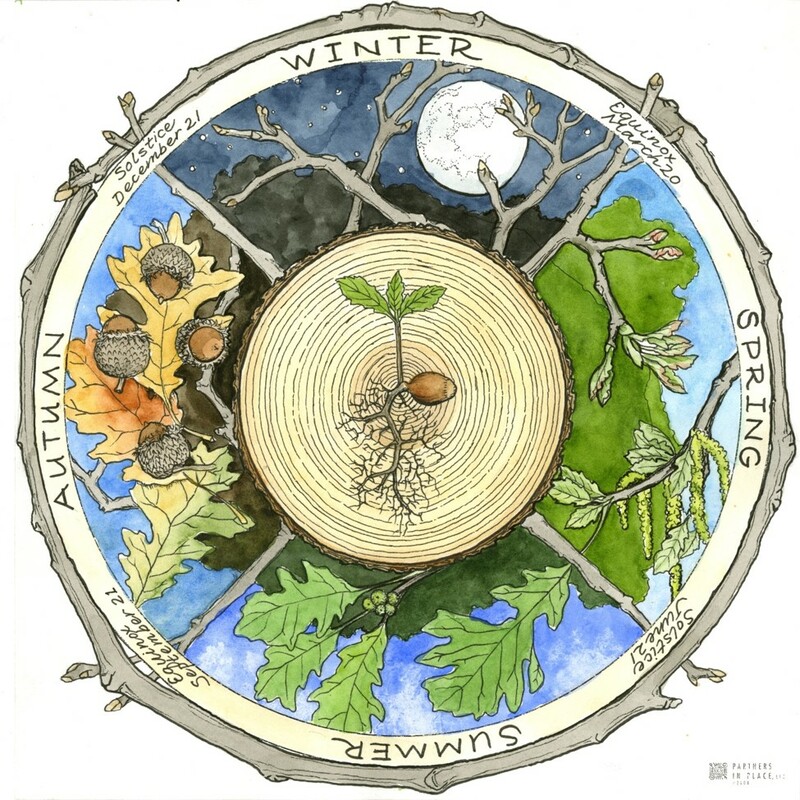 Each plant is transformed differently in the fall, but ultimately dormancy is the way plants conserve energy by using the stored sugars and carbohydrates they produced during the growing season to survive the winter. As plants grow, they are affected by temperature and sunlight. These two forces act as signals to plants that winter is coming. As the day length shortens, plants begin to slow growth and the dormancy process begins in each plant. In spring, shorter nights encourage plants to actively grow. However, in autumn, longer periods of darkness (August-October) and typically cooler temperatures are obvious indicators to plants that winter is around the corner. What would happen if plants didn’t go dormant? Just like we struggle with cold weather, plants are the same. If plants were actively growing during the winter, the water in the trunk, stems and leaves would freeze, causing tremendous damage to these structures. We have seen the result of this on trees when there has been an early freeze before the trees are fully prepared for cold temperatures. The bark is damaged because water in the outer layers freezes and expands damaging the trunk of the tree. 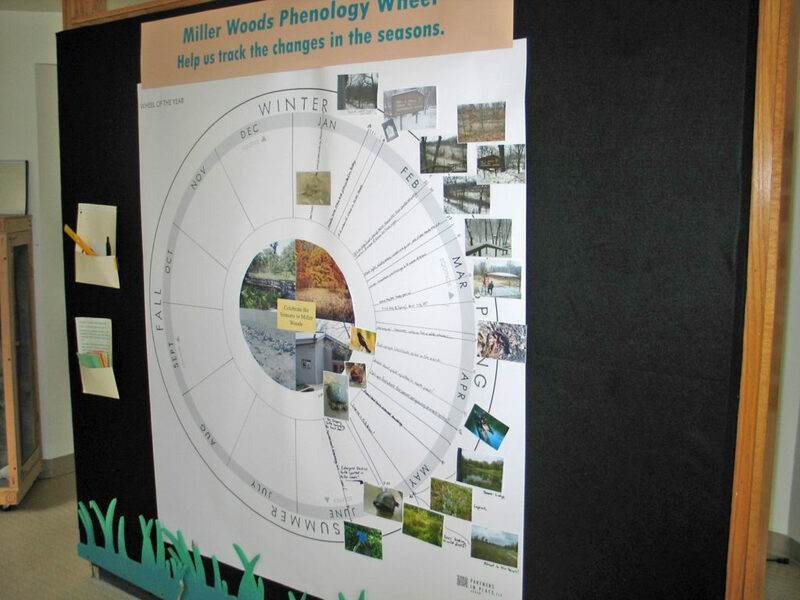 Winter also has less sunlight for trees and plants to use. Water becomes scarce with the ground frozen, making it difficult for plants to collect enough water to endure the cold weather months. Dormancy is a mechanism vital to plant survival. Plants know that winter is coming. The days get shorter and the nights get colder. 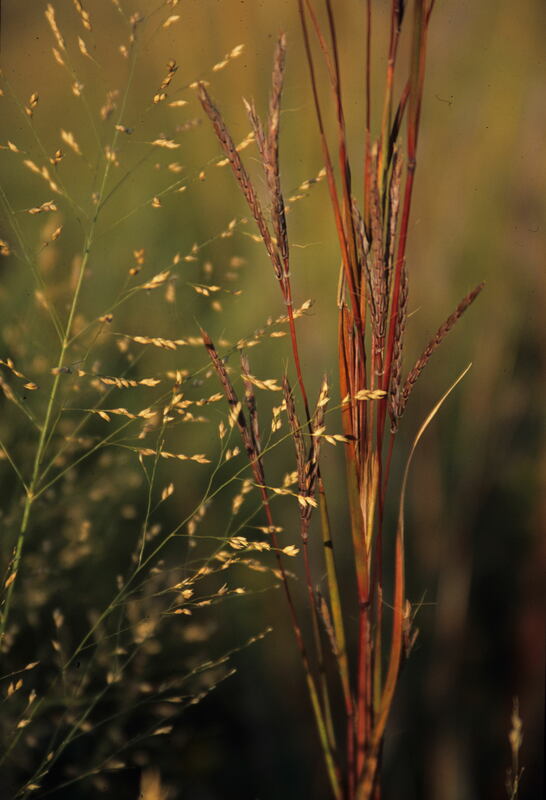 The beautiful colors of the grasses, shrubs and trees are slowly muted to browns, tans and grays. The stark landscape is ready for a winter slumber. Dormancy is waiting for next year, waiting for renewal, waiting for a fresh start. Plants are waiting for warmer days and waiting for the chance to come to life, adding beauty once again to our world.